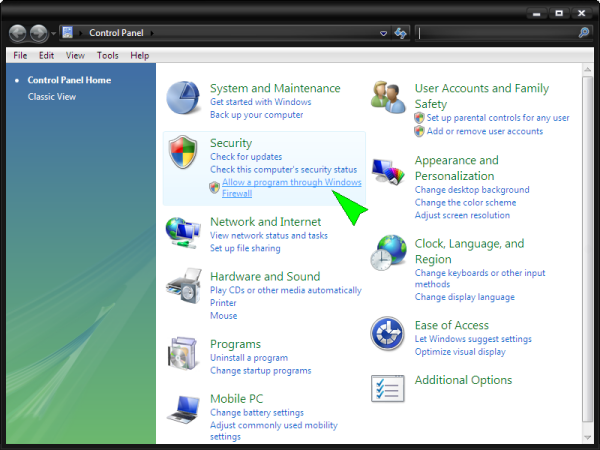 Windows Vista has a built-in network firewall that blocks all incoming TCP connections and UDP messages. 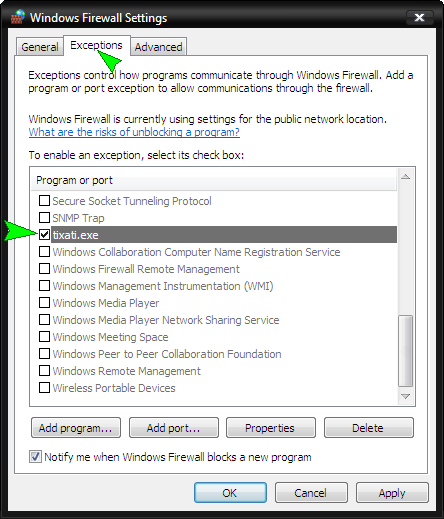 This firewall is enabled by default, but it does prompt the user to allow an exception when any program listens for incoming connections or messages from the internet. 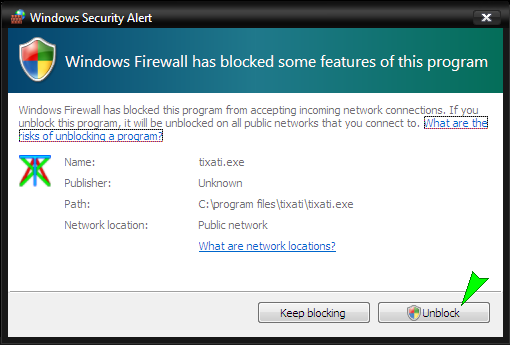 Select the 'Exceptions' tab, and check Tixati in the list of programs. 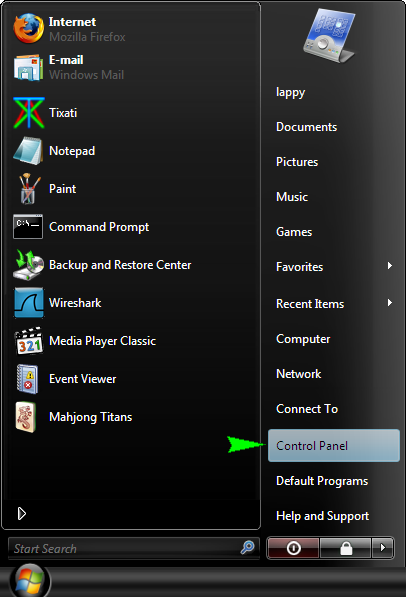 Then click OK.